Dissatisfied holidaymakers who travelled abroad with Cosmos Holidays can rely on Simpson Millar LLP’s Travel Law team to provide legal advice if you suffered food poisoning or gastric illness abroad. 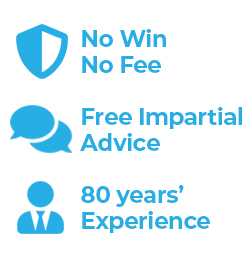 We provide specialist legal services on a no win no fee basis enabling ill travellers to claim compensation from Cosmos Holidays. 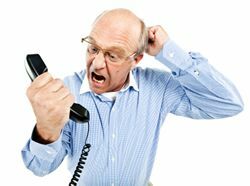 How do I deal with a Cosmos holiday complaint? Can I ensure that I receive the compensation that I deserve? If I suffered from salmonella, what is my claim worth? How do I know if it was food poisoning at my hotel? How do Cosmos Handle Illness Complaints? Like many tour operators, Cosmos will rely on the ‘Investigation Period’ permitted by the Pre Action Protocol for Personal Injury Claims and can sometimes delay making a decision for 6 months. Despite having staff on the ground, telephones, email, fax machines and manned offices in the destinations in question, Cosmos’s legal team will in some instances use delay as a method of frustrating its customers. When the decision arrives from Cosmos you may find their evidence points to a virus because this allows them to escape responsibility for your illness. They may imply that your hotel will have complied with all local standards, and/or that nobody else was ill whilst you were staying at the hotel. Tour operators believe you are more likely to accept this explanation now that your holiday complaint happened months ago. In reality all major tour operators have in-house health and safety departments with readily available data, and delaying matters simply helps them to either reduce or even avoid paying compensation for your complaint. If you suffer an illness whilst on holiday and your symptoms are consistent with food poisoning, such as profuse diarrhoea, stomach cramps, fever, headaches, malaise and nausea, and your illness lasted longer than 7 days then it’s unlikely to be a virus. If you have an illness complaint, we advise you to take legal advice from Simpson Millar LLP’s Travel Law team. Without such advice Cosmos’s Customer Legal Department may try to take advantage of your inability to assess your personal injury claim. Why not find out how much your Cosmos holiday illness claim is worth before you settle? Please be aware that settlements involving children are not legally binding without court approval. Furthermore, if you settle your claim having had expensive medical treatment abroad or in the UK, your travel insurer may seek to 'take back' its outlay from you at a later date because you have been successful in pursuing a personal injury claim. Why not allow one of our travel lawyers to protect your interests and claim the compensation you deserve? The vast majority of holidaymakers who suffer food poisoning abroad have no knowledge of what their complaints are 'worth' in terms of compensation, so negotiations will inevitably be biased in favour of the tour company. A recent independent survey found that 70% of people would not know what level of compensation to claim. Profuse diarrhoea and extreme abdominal cramps are often suffered by holidaymakers travelling abroad, but contrary to the belief of most tour operators, over indulgence, sunstroke, change in temperature, viruses, heat etc. are not the most common cause of travellers’ diarrhoea. The most common cause of gastric illness lasting longer than 48 hours is food poisoning from campylobacter, shigella, dysentery, salmonella and E. coli. Our Travel Solicitors can advise you of the value of your Cosmos complaint. We offer guidance on food poisoning claims based on case law and the JC damages guidelines, and this assistance can be obtained from our team of holiday experts on a No Win No Fee basis. Simon Lomax, former Personal Injury Litigation Manager at MyTravel UK Group Plc says, "I changed sides several years ago because I found the process of paying customers substantially less damages than they were entitled to morally wrong. I believe this process is continuing. Some vulnerable travellers returning ill from abroad could end up accepting a voucher from a tour operator that has let them down badly." If you have a valid complaint, Cosmos Holidays is liable to compensate you for your illness. Regulation 15 of the Package Travel, Package Holidays and Package Tours Regulations 1992 enables those customers with valid complaints to claim for what is termed the 'improper performance of the holiday contract'. Travellers should not be subjected to polluted swimming pool water, contaminated hotel food or unsanitary hygiene standards. If you are diagnosed with a food borne infection due to dysentery from E. coli, salmonella or campylobacter etc. or a parasitic infection such as cryptosporidium, whilst on a Cosmos Holiday, you have a genuine complaint which warrants compensation. If you suffer from symptoms, such as uncontrollable diarrhoea, high fever, painful abdominal cramps, headaches or any other sickness are advised to call us today. Members of our Holiday Law team are available for a free initial consultation and an assessment of your Cosmos Holiday complaint. Our friendly team handle food poisoning claims against all the major tour operators.